A: I am an elastic compute enthusiast and I am trying to develop and deploy elastic compute technologies that work at über scale. Technologies that automatically adapts its capacity(resources) to workload over time is what drives me. I am a proven technical leader with an industry experience of 12-plus years working with Fortune 500 companies. I have worked extensively leading, developing, architecting and managing cloud and distributed computing technologies at YP and Yahoo. I have substantial experience running a globally distributed production environment on thousands of systems running hundreds of application in a complex, fast moving and mission critical environment. 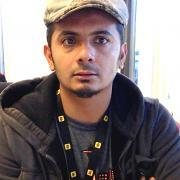 Presently, I am working as a Lead Systems Engineer at YP (YellowPages). My team is deploying and developing Mesos supported technologies that works at scale. Mesos solutions for centralized logging, metrics, distributed monitoring, persistent storage, application secrets etc. are being worked upon. My team is solving issues which some people think don't even exist. Q: You're giving a talk on "Dynamically Provisioning App Secrets During Container Run Time." Without tipping your hand on the actual talk, can you give us an idea of what we might expect? A: Anybody that is running containerized workload in production would be interested in attending this talk. How to securely pass a secret to the container has baffled lots of industry experts. Some of the solutions that are out there are hacks and can be easily compromised. In this talk, I will bust open crazy solutions that people employ and what can you do to securely pass a secret to the container in real time. A: I have attended multiple SCALE conferences. All I have to say is that SCALE is now a de-facto standard conference for anything open-source. Q: What is Docker and other container technologies doing about it? A: Docker is well aware of the problem, but there isn’t a single fool-proof solutions out there. This topic is highly debated and revisited at docker. There are tons of proposed PR(pull request) for this but nothing has been adopted by docker so far. Other container technologies aren’t mature enough like docker to have successfully resolved this issue. Q: Did the work you have done for this has been made open source? A: Yes, we have made the solution open source for the community to benefit from it. Q: What is the main takeaway from the talk? A: The main takeaway from the talk would be: you can go home fully relaxed, have a high calorie meal, go to sleep without any sleep aid, and then get up for the office next day being fully confident that you now have a solution to run containers securely in production. SCALE Team interview by Sean McCabe.